It is time to unlearn and to stop singing the same old song. It is easy to catch a hold of a thought, give it a melody and allow it become the soundtrack of our life. Then wherever we are we sing it over ourselves again and again and again. Songs that tell others all about how we feel, full of emotion and always sung with great passion. Songs of how we feel frustrated. Songs of how life is hard. Songs about how things are not going our way. Songs full of our pain. Songs of how we feel lost. Songs all about how we feel hopeless. Songs full questions to God. Songs describing all the challenges we face. Let’s be people of God who will stop singing those songs. 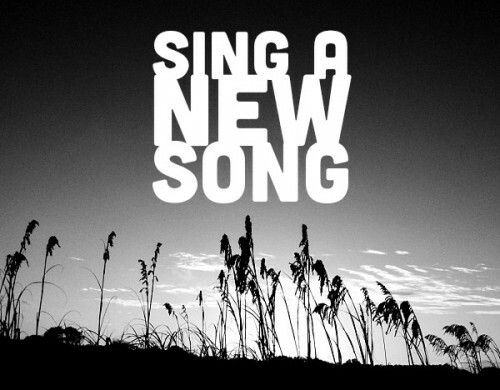 Let’s stop singing wrong lyrics over our circumstances like ’Things ain’t like they used to be’, and begin to a sing a new song. Instead begin to sing over your circumstances. Sing a song of peace. Sing a song of security. Sing a song of transformation. Sing a song of healing. Sing a song of discovery. Sing a song of hope. Sing a song of confidence. Sing a song of faith.